Louise graduated from Imperial Medical School (previously Charing Cross and Westminster), in 2001 having also achieved a BSc. in Physiology. She always planned to become a GP and moved to Barnstaple in 2002. Louise has an interest in women’s health and runs a women’s health clinic on Monday mornings, open to all female patients in the practice. Louise job shares with Dr. Smit and is supported by Julie and Tracey in reception. Outside of work Louise enjoys spending time with her family and relaxing with her friends. She is also married to another local GP. 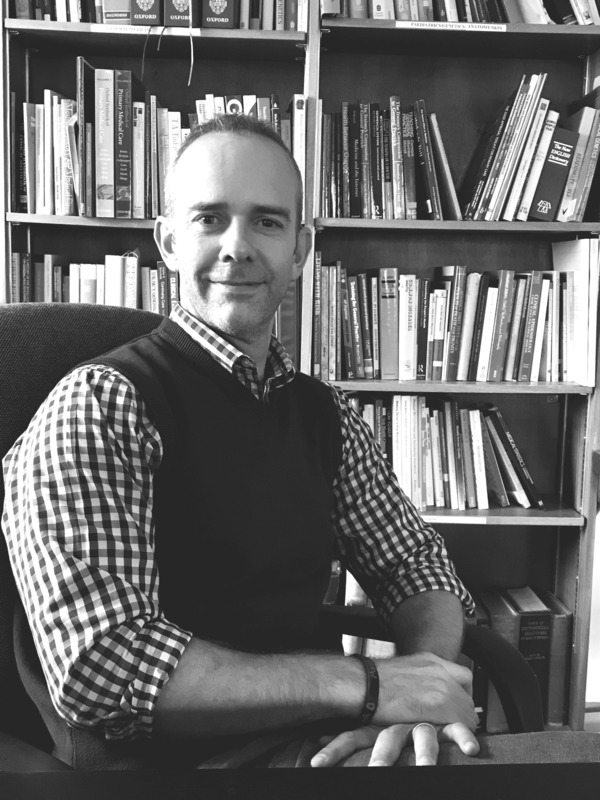 After graduating from Bristol University in 1998, Tim initially trained in general surgery before finally seeing the light, and changing to general practice. He is still interested in surgical problems and is the practice lead for diabetes. Tim is currently the executive or managing partner, supporting our practice manager in strategic planning and the day to day running of the practice. He also represents the practice and the Barnstaple Alliance on the Northern Devon GP collaborative board and the North and East Devon Local Medical Committee. Tim is supported by his receptionists Corinne and Kerry. Outside of work Tim enjoys keeping fit by swimming, cycling and running. After graduating from Southampton in 2002, Mel embarked on her GP training, working in the Southwest of England and Australia. She joined Brannam in 2008 for her registrar year and continued with the team becoming a salaried doctor. In September 2010 she started a partnership as a job share with Dr Ben Waterfall. As research lead for the practice Mel supports the involvement of patient and staff in multiple studies via the National Institute for Health Research and Clinical Research Network. Both Dr Deacon and Dr Waterfall are both supported by their part time receptionists Steph and Julia. Outside of work Mel enjoys surfing, cycling and spending time with her husband and young daughters. 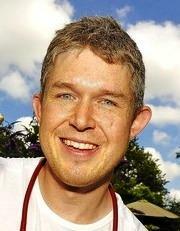 Oliver did a zoology degree before studying medicine and trained as a GP in Liverpool and South Molton. He has worked overseas and most recently he and his family lived in Kenya for 3 years while he was doing a PhD. Oliver maintains his interests in public health and research and is still involved in research projects in Africa. He is an honorary Senior Lecturer at the Liverpool School of Tropical Medicine. Oliver became a partner at the Practice in 2014 and has his own patient list. He is supported by his receptionist Izzy. Outside of work, Oliver enjoys doing active things outdoors. Ed graduated from London in 2005 and joined the practice in September 2010 providing locum cover. He has since become a partner at Brannam, taking the clinical lead for Mental Health problems and Learning Disabilities. Ed is supported by Susie his receptionist. Outside of work Ed is never happier than when demolishing and rebuilding part of his home. He enjoys cooking for his hungry family, often having just marched them about the beautiful North Devon countryside. The household has recently been joined by three exceptionally demanding and spoilt ex-battery chickens. After graduating from the University of Birmingham in 2011, Amy worked as an A&E registrar in Australia for a couple of years. 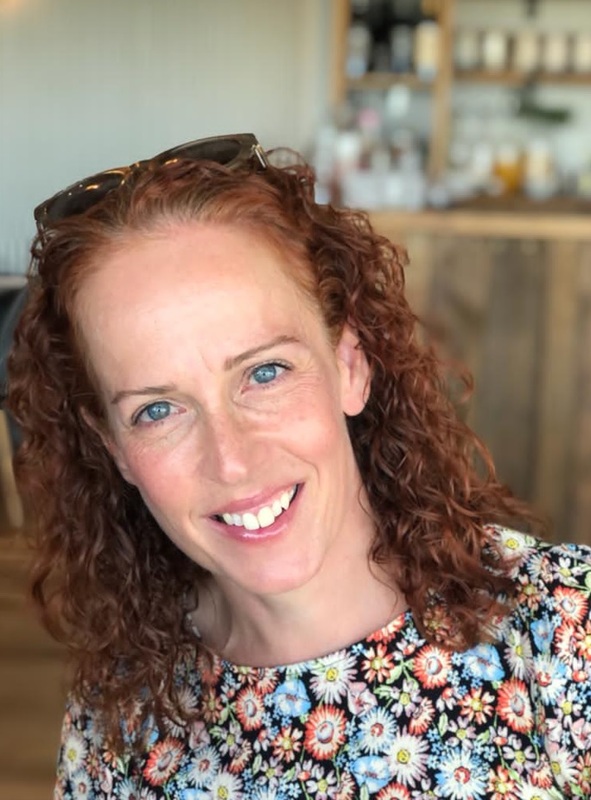 Amy then completed her GP training in North Devon, and has additional postgraduate qualifications in Paediatrics, Teaching and Obstetrics & Gynaecology. Amy has an interest in Paediatrics and Medical Education, and teaches Medical students at the University of Exeter. She joined Brannam in 2017 for her registrar year, and was employed as a Partner in 2018. Amy is supported by her full time receptionist Sue. Outside of work Amy enjoys travelling, swimming, reading, Crossfit, kayaking and walking through the Devonshire countryside. She can often be found on the beach, cycling along the Tarka trail, in the gym with some weights or in her library with the cat! Suzanne graduated from university in South Africa in 1998 and joined our busy team in October 2010. She job shares with Dr Louise Bond and is supported by part time receptionists Julie and Tracey. Suzanne specialises in women’s health, obesity and ENT. Outside of work Suzanne enjoys running, hiking, reading and watching rugby. She is married to a GP and they have two children. Iain graduated from Glasgow in 1990 and specialises in Dementia, COPD and Palliative care, he is also a GP trainer. Iain is supported in his role by his receptionist Rebecca. Outside of work Iain is our very own 'marathon man' frequently disappearing to compete in a cast of thousands in London or New York. Sarah was brought up in Barnstaple and went on to study Biochemistry at Sheffield University. She then worked in the pharmaceutical industry for 4 years before deciding on a career change into medicine. She graduated from Cambridge University in 2007 and completed her GP training in the Bath area. Now married with 2 young children she has made the move back to North Devon to be nearer family and the sea. Sarah has an interest in joint injections, women's health and family planning. Sarah job shares with Dr Jackie Tolhurst and both are supported by their receptionist Amanda. Outside of work Sarah enjoys spending time with her husband and children as well as trying to keep fit through surfing and running with her dog. Jackie graduated from Edinburgh in 1986, then worked in Scotland for 4 years before taking a career break to have her children. Jackie went on to train as a GP, qualifying in 1996, and was a full-time GP Partner for 16 years in South East London. She was also a GP trainer and family planning trainer. Jackie joined Brannams in 2014 and became a Partner in 2016. She job-shares with Dr Sarah Street. Jackie is supported by her receptionist Amanda. Jackie's professional interests include family planning, women and children's health, mental health and education. She enjoys spending time with her family, golfing, gardening, walking and playing her guitar. Ben graduated from Nottingham in 2000 and joined our team as a locum in 2008. He began one of the GP Partners in 2010. Ben specialises in Minor Surgery and Dermatology, a speciality in which he also works for North Devon District Hospital. He is the chair of the practice's IM&T group dealing with all things technical. Ben job shares his role with Dr Melanie Deacon and are both supported by Steph and Julia, their part-time receptionists. Outside of work Ben enjoys spending as much time as possible with his wife and three children. When not engaged in family life he remains a keen rock climber, squash player and cyclist. Fiona graduated from Cardiff in 2007 and joined Brannams in March 2016 working with us as a GP Retainer. Clare graduated from Bristol Medical School in 2004 and has postgraduate diplomas in Family planning, Paediatrics and Obstetrics and Gynaecology. She worked abroad in Australia, New Zealand and South Africa before qualifying as a GP in 2013 and settling down in North Devon with her young family. Zoe graduated from Sheffield University in 2007 and joined Brannam Medical Centre in August 2018 working as a Salaried GP. Desri Dyer is our lead nurse, and Treatment Room Sister. She started working at Brannam on a part-time basis in 1995 and gradually built her hours and experience over the years, taking the full time senior nurse post in 2002. She is an RGN, qualifying in 1984 at North Devon District Hospital. Since working at Brannam, she has gained a Bsc Hons in nursing, diplomas in Asthma, COPD and CHD, a Post Graduate certificate in Leadership for Quality Improvement. Her other specialities include tissue viability, infection control, cervical cytology and family planning to include insertion and removal of implants. Desri enjoys working with such an enthusiastic and dynamic team who are all very supportive of one another. Her hobbies include running, aerobics and moto cross (spectator only!!). Sandy qualified in 1981 as an RGN and has worked in the North Devon District Hospital in both Surgical and Gynaecological posts. At Brannam Medical Centre her working areas include routines, minor illness, diabetes, travel, well woman and family planning. Sandy is supported by full time treatment-room receptionist Sarah. 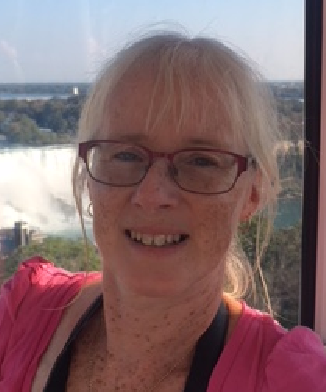 Sandy has completed courses in travel health, diabetes, family planning, and cervical smear training, as well as leg ulcer assessment and treatment. In 2006 she obtained her degree in health studies. Sandy has recently completed her Diabetes Diploma. Outside of work Sandy enjoys days out on the motorbike with her husband. Becky qualified in 1995 as a Registered Nurse and worked at NDDH within the surgical department. Becky left the hospital to commence practice nursing in 1998 and has completed diplomas in Asthma and COPD and courses on Diabetes, leg ulcer management and is family planning trained. 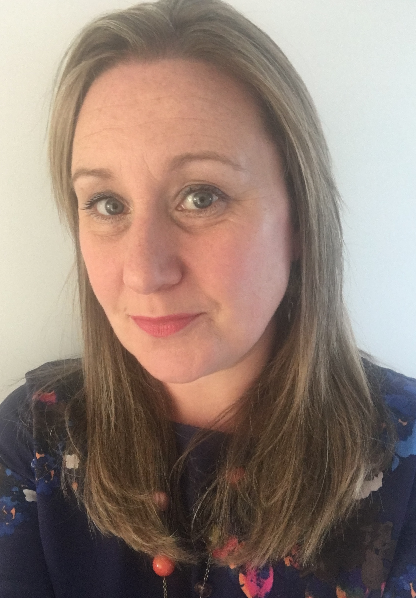 In 2010 Becky obtained her BSc (Hons) degree in health studies and then went on to become an independent/supplementary non-medical prescriber in 2013. Becky joined the Nursing team at Brannams in November 2015 where she can also undertake all treatment room duties including cervical cytology, tissue viability and travel. As well as keeping busy with her family, Becky's hobbies include quilting, keeping and riding her 3 horses and training her dog!! 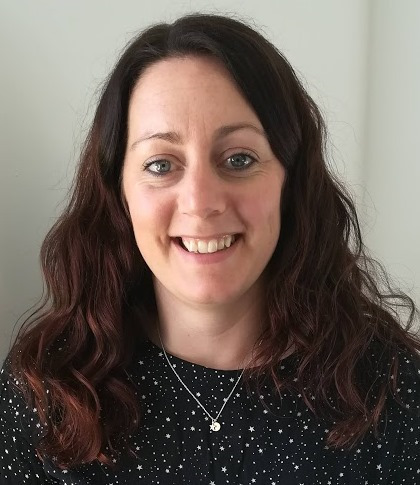 Amelia qualified in 2002 with a Bachelor of Nursing Honours degree from University of Wales College of Medicine and has worked at North Devon District Hospital and at South Molton as a community nurse. She joined Brannam Medical Centre in February 2014 at first providing cover for our routine clinic. Amelia is now a permanent member of the team and her working areas includes routines, cardio-vascular and diabetes care. In 2015, she completed a Foundation of General Practice Nursing at degree level. Outside of work Amelia is married to Ed and has four young children, she enjoys spending time with her family going caravanning and she also loves doing craft projects and geocaching. Andrea joined the team in September 2014. She completed a Dip HE in Adult Nursing in 2002, she has since gained a BSC (Hons) in health studies in 2012. Andrea has worked in both acute hospital and community settings. Andrea has completed the Practice Nurse foundation course and other courses which include cervical cytology, ear irrigation, asthma and COPD. Andrea's working areas include routine clinics, well woman, travel, minor illness, asthma and is the lead for the children's vaccination clinic. Outside of work Andrea enjoys a busy family life and has recently taken up running. Lesley qualified in 1981 and initially worked for many years at NDDH. She then moved into community nursing where she competed a BSc (Hons) degree in District Nursing and became a team leader at Fremington Medical Centre. Having an interest in palliative care Lesley then moved to a position of managing a community palliative care team which then developed in to Hospice to Home in North Devon. Lesley remained in this role until 2014 where she joined Brannams treatment room as a relief nurse, becoming a permanent member of the treatment room in 2015 working part time covering routine clinics. Outside of work Lesley has a husband and a growing family who live locally. Lesley enjoys being a hands on Granny, gardening, swimming, enjoying the outdoors and trampolining which keeps her very fit and busy! Lynn is our Health Care Assistant. Lynn does a variety of jobs within her role including taking blood, warfarin testing, assisting doctors with minor surgeries, smoking cessation clinics and family planning clinics, to name a few. Lynn is supported by full time treatment room receptionist Sarah. Amy joined up in January 2013. As a Healthcare Assistant she does a variety of jobs within her role including taking blood, warfarin testing, carers health checks and assisting doctors with minor surgeries to name a few. Amy is supported by full time treatment room receptionist Sarah. Billie joined us an apprentice medical receptionist in July 2015 and completed her NVQ Level 2 in Business and Administration. Billie works in the treatment room as a healthcare assistant. 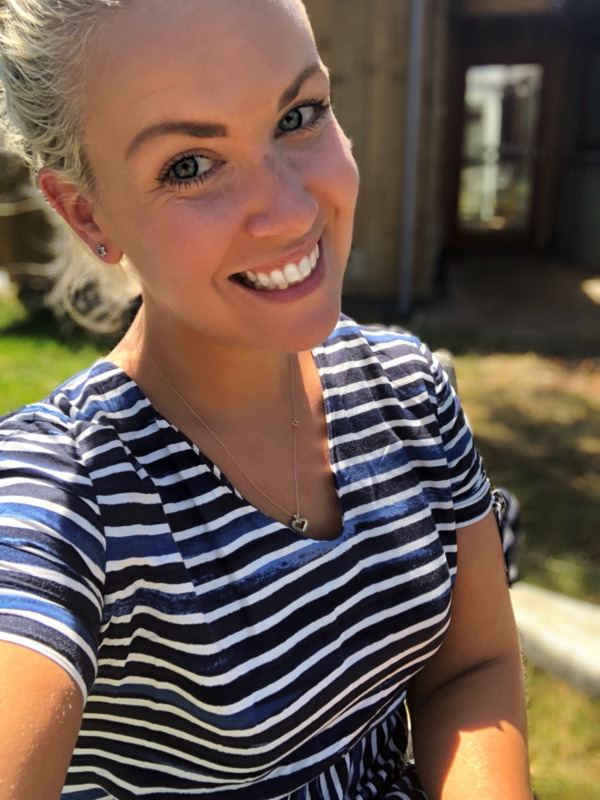 Billie does a variety of jobs within her healthcare assistant role including taking blood, warfarin testing, assisting doctors with minor surgeries, smoking cessation clinics and family planning clinics, to name a few. Billie is supported by treatment room receptionist Sarah. Dee is our practice manager. She joined the practice in 1982, working for Dr Osborne and then Dr Bunney. In 2003 Dee took on the role of practice administrator before becoming the practice manager in 2008. Dee is a graduate from London University and has an MSc in Equine Studies and keeps her own horses. Outside of work Dee enjoys horse riding, gardening and all sorts of country pursuits. Pat has been with the practice since 1991. She started as an evening receptionist, moved on to become Dr Bunney’s receptionist and now works full time as our practice Secretary. Pat deals with all the referrals made by the doctors within the practice, and has the tough task of listening to the often lengthy dictations. Pat is often known as the ‘mother’ of the practice, looking after all the staff. Outside of work Pat enjoys socialising, travelling, maintaining the allotment and is an avid rugby fan. Trudi joined the reception team in August 2016 working as part time receptionist to Dr Smit and Dr Bond. Trudi has since changed job roles and works alongside Pat as our practice secretary and also provides support to the admin team. When she is not at work, Trudi likes to spend her time with her friends and family. She also enjoys swimming, walking the coast path, photography and rowing with her crew in a Pilot Gig Boat. Heather joined the team in 2008 as our Data Administrator. She deals with all the new patient records that come into the surgery and ensures that all the relevant information is summarised onto the computer for the doctors and nurses. Heather also makes sure that we are meeting our health targets and chases up the doctors to invite any patients that need to come in for outstanding follow up appointments. She is also an important member of the practice’s IM&T group dealing with all things technical. Heather has a degree in sports therapy and outside of work enjoys playing netball and spending time with friends and family in particular her young son, daughter and husband. Gill joined the team in February 2012 as one of our part time Data Administrators. Gill is a Junior Sprints Coach at North Devon Athletic Club, and often spends her weekends travelling to competitions around the country with the athletes. Sue is one of our prescribing co-ordinators who works alongside Rachel dealing with all the prescription requests that are sent into the surgery. Outside of work Sue enjoys socialising with friends, reading and walking. Rachel joined us as apprentice medical receptionist in July 2012 initially helping reception in all areas and later becoming Dr Hassall's receptionist. In November 2016 she took an opportunity to transfer roles and now works as Prescribing Co-ordinator, alongside Sue. When she's not at work, Rachel can either be found hitting the shops or spending time on the beach. Carol joined the team in November 2016 as a Medical Summariser having previously worked in Germany as a services school primary teacher. Carol deals with all the new patient records that come into the surgery and ensures that all the relevant information is transferred onto the computer for the doctors and nurses. Outside of work Carol enjoys travelling, crafting and baking extremely good cakes! Rebecca joined the practice in 2003. She is the Reception Manager and full time receptionist to Dr Stewart. She provides support to Dr. Stewart's Registrar and is also the community connector. Outside of work Rebecca enjoys long walks with her family and their dogs, reading and cooking. Susie joined the team as part time relief cover to the receptionists, and is now receptionist to Dr. Matthews and deputy reception manager, supporting Rebecca. Susie also schedules all the rotas to ensure we have adequate GP cover to meet the demand for appointments. She also works alongside our Immunisation Nurse, Andrea, providing administration for childhood vaccinations given at the practice. She also provides joint support to the registrars and medical students. Outside of work Susie enjoys spending time with her family and friends, running with her dog and playing netball. Julie has worked for the practice since 1982. She originally worked full time but since having children she has worked part time. Julie provides support for Dr Bond and Dr Smit working alongside her job share receptionist, Tracey. Outside of work Julie enjoys, gardening, reading, walking and spending time with her family. Sue has been with us since May 2007 after recent changes within reception Sue now provides support to Dr. Taylor. Outside of work Sue enjoys spending time with her family and walking on the local beaches. Amanda is a full time receptionist to Dr Tolhurst. Amanda has been with us since February 2008. Amanda is also closely involved in the Gold Standards Framework, providing administration for patients receiving palliative care. Outside of work Amanda enjoys watching films, going to the theatre, reading and walking. Steph joined the team in 2009 and works as part time receptionist to Dr Deacon and Dr Waterfall job sharing with Julia. Steph provides support to Susie, to the registrars who each spend a year working in the practice. Steph also provides administration support to Andrea, our lead child immunisation nurse, ensuring your child's vaccines are all up to date in their red books and on their records. Outside of work Steph enjoys spending time with her husband and young daughter. Julia joined us as a part-time receptionist in July 2012. Julia works as part time receptionist to Dr Deacon and Dr Waterfall job sharing with Steph and also job shares alongside Corinne, as receptionist to Dr Chesworth. When Julia is not working she enjoys spending time with her family, being outside walking her dog, looking after her chickens and gardening. Corinne joined the team in October 2009 as a part time receptionist, and is now part time receptionist to Dr Chesworth, job sharing with Julia. Corinne supports the practice counsellors and the medical students. Outside of work Corinne enjoys walking, spending time with her grandchildren, travelling and sightseeing in the UK and the globe. Sarah is receptionist to the treatment room and has been with us since June 2007. Working full time, Sarah provides support to the treatment room staff and sends out numerous recalls for healthcare reviews alongside other duties. Sarah is also an important member of the Practice’s IM&T group dealing with all things technical. Outside of work Sarah enjoys spending time with family and friends, scrapbooking, reading and travelling. Angela works as the evening receptionist and has been with us since 2002. She ensures that all the doctor's rooms are stocked up and tidy ready for the next day and supports the Nurses and Doctors after their receptionists have left. Outside of work Angela enjoys spending time with her family, reading, walking and cooking. Izzy started at Brannams in November 2016 as a medical apprentice. She has completed her apprenticeship in business and administration level 2. Her main role is supporting Dr Hassall as his full-time receptionist. Outside of work Izzy enjoys spending time with friends and family and cooking. 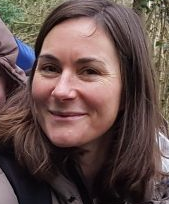 Lucy joined the team in January 2017. She provides support to both the Administration and Reception team as well as providing cover for the healthcare assistants when required. When not at work Lucy enjoys travelling and keeping fit by practicing the art of Aikido. Tracey joined the reception team in September 2017. She works as part time receptionist to Dr Smit and Dr Bond job sharing with Julie. Outside of work Tracey enjoys spending time with her family and friends, gardening, baking, reading and the odd bit of DIY thrown in! Claire joined the reception team in September 2017. She works as full time receptionist to Dr Anna Marquiss. Rachel graduated from Cardiff University in 2003 and completed her Pharmacy training at North Devon District Hospital in 2004. Since then she has worked in Bristol Royal Infirmary, Bristol Children's Hospital and North Devon District Hospital again as well as some time working in community pharmacies over the years. She joined the surgery in 2015 as part of an NHS England pilot to trial pharmacists working within general practice. Clinical pharmacists work as part of the general practice team to resolve day-to-day medicine issues and consult with ans treat patients directly. This includes providing extra help to manage long-term conditions, advice for those on multiple medications and better access to health checks. Having a clinical pharmacist in GP practices means GPs can focus their skills where they are most needed, for example on diagnosing and treating patients with complex conditions. This helps GPs manage the demands on their time. Outside of work Rachel enjoys spending time outdoors with her husband and two young children, as well as trying to keep fit through running and cycling. Our Community Midwives normally run clinics at the Practice three times a weeks and share pregnancy care with your GP. If you think you are pregnant you should see your GP in the first instance, who will then arrange for you to see a midwife. Maria joined the Brannam's team in May 2002 and provides antenatal and postnatal care to our patients. Outside of work Maria enjoys gardening, cross-stitch, reading and cats! Our Community (District) Nurses are based at the surgery; they visit the housebound and provide general nursing care in the community. The team can be contacted on 01271 322185. For any urgent enquiries, I.e. where a patient requires same day treatment, please contact reception on 01271 329004. Tracey joined the community nursing team in January 2005. Tracey’s role is community staff nurse. Outside of work Tracey enjoys running. Referral to the Community Psychiatric nurse is normally made through your doctor. We have a Community Physiotherapist at the practice. Referral is usually made through your doctor. Health Visitors are trained in public health nursing. They are concerned with the promotion of good health and lifestyle, and the prevention of ill health for all age groups. They hold clinics and offer advice and support on the health, welfare and development of children and their families.